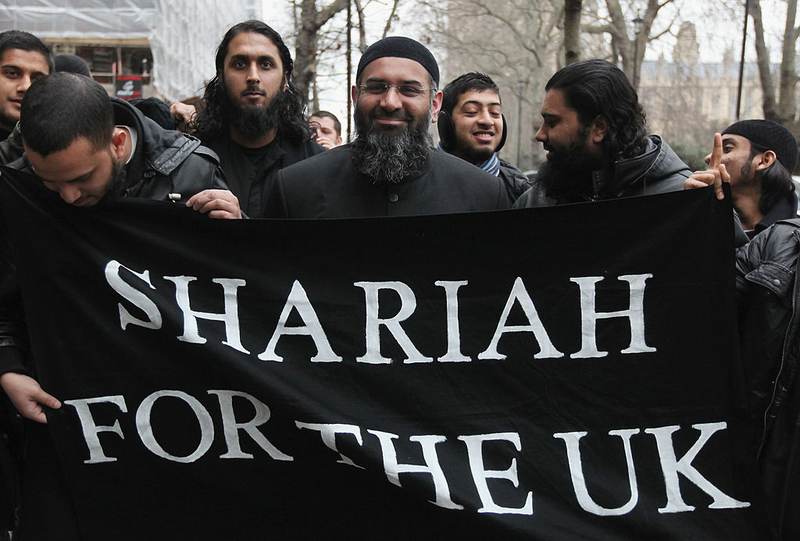 A new poll of British Muslims found that a majority hold views with which most British people would disagree. For instance, 52% of British Muslims think that homosexuality should be made illegal. An earlier poll found that 27% of British Muslims have “some sympathy for the motives behind the attacks” at the offices of the French satirical magazine Charlie Hebdo last year. Whenever opinion poll results come out, nearly the entire Muslim community, including nearly all Muslims in the media and all self-appointed groups of “Muslim community leaders” try to prove that the poll is a fraud. If I had always known my “community” harboured such views, and a poll revealing this truth came out, I would be deeply ashamed. But when such polls emerge about the opinions of British Muslims, is that there is never any hint of introspection. There is no shame and no concern, only attack. If there were indeed a “moderate majority,” when a poll comes out saying that a quarter of your community wants fundamentally to alter the law of the land and live under Sharia, the other 75% would spend their time trying to change the opinions of that quarter. Instead, about 74% of the 75% not in favour of sharia spend their time covering for the 25% and attacking the polling company which discovered them. One often hears about the “moderate Muslim majority.” ‘After any terrorist attack, politicians tell us that, “The moderate majority of Muslims utterly condemn this.” After any outrage, commentators and pundits spring up to say, “Of course the vast majority of Muslims are moderate.” But is it true? Are the vast majority of Muslims really “moderate”? A number of factors suggest perhaps not — most obviously the problem repeatedly revealed by opinion polls. Time and again, the results of opinion polls in the Western world, never mind in the Middle East or North Africa, show a quite different picture from the “moderate majority” aquatint. True, such polls can often show that, for instance, only 27% of British Muslims have “some sympathy for the motives behind the attacks” at the offices of the French satirical magazine Charlie Hebdo last year. True, that is only between a quarter and a third of British Muslims sympathizing with the blasphemy enforcement squad. On other occasions, such as recently in Britain with a new ICM poll commissioned by Channel 4, they find that a majority of Muslims hold views with which most British people would disagree. So for instance, the recent ICM poll found that 52% of British Muslims think that homosexuality should be made illegal. That’s a striking figure. Not 52% of British Muslims saying homosexuality is “not their cup of tea” or that they are “not entirely on board with gay marriage,” but 52% of British Muslims thinking that homosexuality should be made a crime under the law. But it is what happens after such polls emerge that the “moderate majority” idea really comes under strain. First, of course, there is always an attempt to put a positive spin on the results. So for instance, when the post-Charlie Hebdo poll came out last year, the BBC (which had commissioned the poll) ran it with the headline, “Most British Muslims ‘oppose Muhammad cartoon reprisals.’” Although true, it is not the most striking aspect of its findings. But it is what happens next that is most revealing and more truly calls into question whether we are really dealing with a “moderate majority” or, more truthfully, with a “moderate minority.” Because whenever the results come out, nearly the entire Muslim community, including nearly all Muslims in the media and all self-appointed groups of “Muslim community leaders,” try to prove that the poll is a fraud. It happened with the release of the ICM poll in the UK, as it has happened with every previous poll. With the exception of only one or two prominent dissident Muslims, every Muslim voice in the media and every Muslim group decided not to concern themselves with the ICM findings, but to try to pull apart the validity, methodology and even ‘motives’ of the poll. This is deeply revealing. It is worth trying a thought-experiment here. Whatever community you come from, imagine your reaction if a poll like the ICM one on British Muslims had come out about whatever community you feel a part of. Imagine you are a Jew and a poll had come out saying the majority of other Jews in your country want to make being gay a crime. What would your first reaction be? My impression is that most Jews would be deeply embarrassed. Very shortly after that first reaction, you might begin to wonder what could be done to change such a terrible statistic around. It is possible, if you knew nobody of your faith who thought that homosexuality should be criminalized and had never come across this position before (or any previous polling which suggested the same thing) that you might question the credibility and methodology of the poll. But otherwise, you would probably sigh and wonder what could be done to improve things. If you knew the findings to be fairly accurate, why would you try to tear apart the findings? Likewise, if tomorrow a poll were published of the opinions of white British people of Christian upbringing in the UK, I would take some interest in it. If it revealed that 39% of British Christians believed that wives should always obey their husbands (as the ICM poll showed British Muslims believe) then I would have some worries. If it also found that almost a quarter (23%) of British people of Christian origin wanted areas of the UK to divest themselves of the law of the land and be run instead on some Biblical literalist “take” on the law, I would worry some more. Of course, neither of these eventualities is remotely likely to arise. But let us say that it did. What would be my reaction? The first would be to hang my head in shame. And I would hang it just that bit lower if the findings came as absolutely no surprise to me. If I had always known my “community” harboured such views, and a poll revealing this truth came out, I would be deeply ashamed that what I had always known was now known by everyone else in the country. What is most interesting then, when such polls emerge about the opinions of British Muslims, is that there is never, ever, any hint of such introspection. There is no shame and no concern, only attack. If there were indeed a “moderate majority,” then when a poll comes out saying that a quarter of your community wants fundamentally to alter the law of the land and live under Sharia law, the other 75% would spend their time trying to change the opinions of that quarter. Instead, about 74% of the 75% not in favour of sharia spend their time covering for the 25% and attacking the polling company which discovered them. It is a tiny symptom of a much larger problem, the repercussions of which our societies have hardly begun to face.